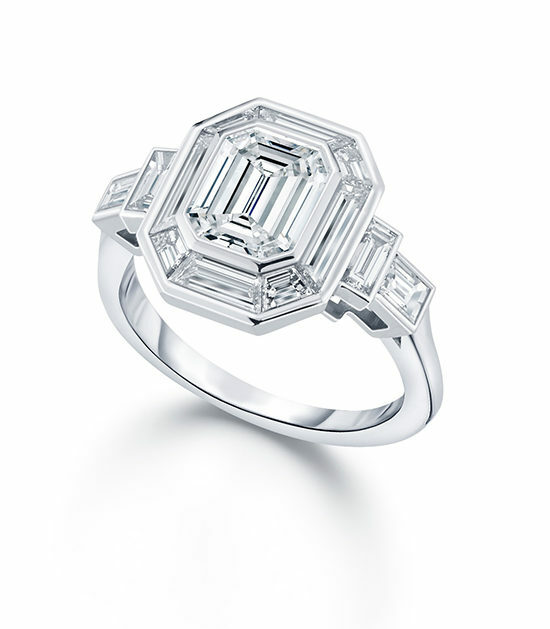 The Deco Dream Setting is a unique and intricate design, inspired by French Art Deco. 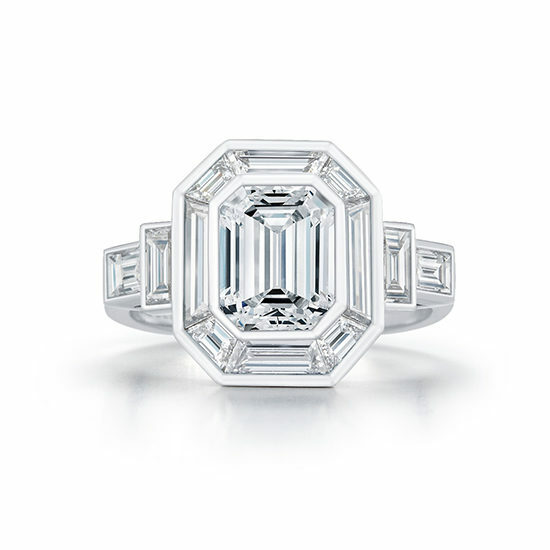 Shown here in platinum with a 2.09 carat E color IF Internally Flawless clarity Emerald cut diamond, with 12 baguette cut diamonds. This setting is meticulously sculpted in either platinum, 18k yellow gold, or 18k rose gold. Made in NYC. Contact us today to schedule an appointment with a diamond specialist and explore the different options available to you. We look forward to creating your perfect ring.